/ Modified mar 16, 2017 3:07 p.m.
State of City focused Tucson's partnerships in attempt to sell voters on sales tax increase. Tucson Mayor Jonathan Rothschild at his State of the City address, March 16, 2017. 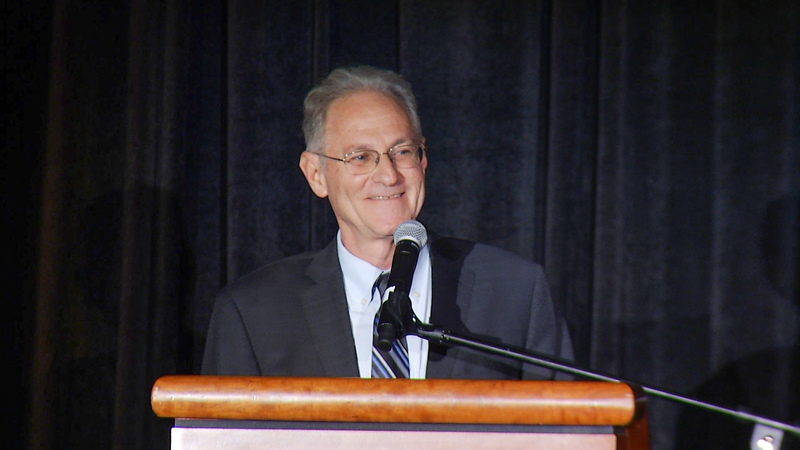 Tucson Mayor Jonathan Rothschild, aiming to drum up support for a half-cent sales tax increase going before voters, emphasized the city’s partnerships with businesses, nonprofits and other governments in his State of the City speech Thursday. 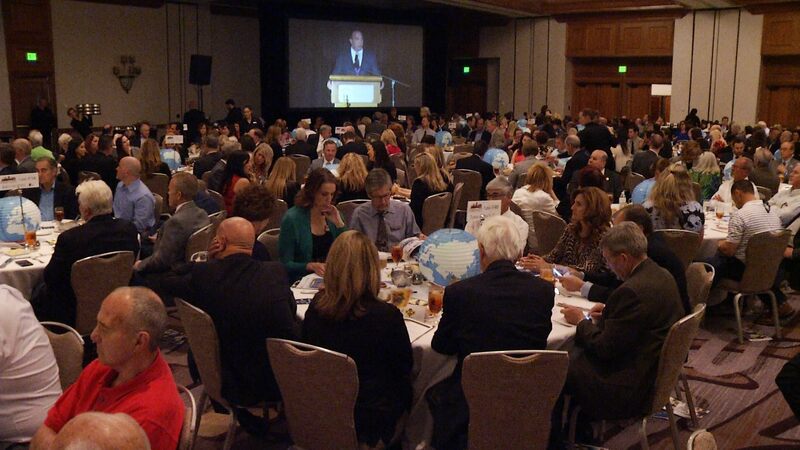 The Democratic mayor spoke to about 1,000 people at a luncheon meeting at the Tucson Convention Center. "In August, Bloomberg reported that Tucson had the third-fastest growth rate of any metro area in the country. That didn’t just happen. It took all of us working together in partnership – the city, the county, the state. Rio Nuevo. Sun Corridor, and our business community," Rothschild said. Those partnerships show the city keeps its word, he said, and that’s what he hopes voters remember when they get a ballot in the mail next month. The extra money would go to road work and police and fire equipment. Voters will "determine whether we continue with much-needed road resurfacing, whether we invest in much-needed public safety vehicles, facilities and equipment or not. That is the choice in voters’ hands,” Rothschild said. The audience gathered to hear Tucson Mayor Jonathan Rothschild's State of the City, March 16, 2017. The vote on the half-cent sales tax is being conducted entirely by mail. Ballots for Proposition 101 will go to registered voters in April, and the votes will be tallied May 16. Rothschild stressed that the tax will be affordable. “In Arizona, just nine cities and towns have a lower retail sales tax rate,” he said. The increase would cost the average person about $3 a month and raise about $250 million in five years. The proposal is capped at a five-year tax increase. The proposed increase would take the city sales tax from 2 percent to 2.5 percent. “If Proposition 101 passes, that just means our rate moves to the median for the state,” Rothschild said Thursday. Tucson Sales Tax Election Count Tuesday; Turn in Ballots Turnout at 24.6% So Far in Tucson Tax Election Prop 101: Should Tucson's Sales Tax Rise for Public Safety, Streets?